Ahh, I like this one ... Glasgow's Big Face. Really refreshing to hear something dancey that's not as abrasive as walking on shattered glass or as hyper-active as a caffeinated four year-old. 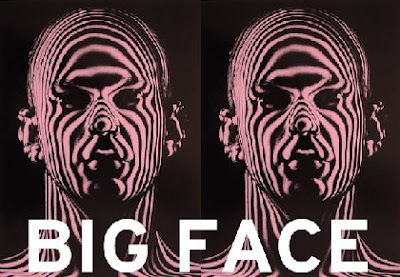 Big Face's music is dancey, sure, but it's for those of us who still dig Gary Newman and O.M.D. and stuff like that. "Drink Juice Like" literally sounds like a track from The Pleasure Principle or Tubeway Army. It's awesome. "Style Crusader" is a little rougher, but it's got enough funk and smoothly textured beats and melodies to sustain itself in the pile of awesome tunes this guy's got up his sleeve. He's totally capitalizing off an electro rebound much like Calvin Harris "profited" off a general lack of killer heavy funk/disco songs. I love this guy ... check out some of the tracks below!